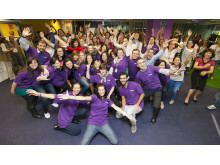 Farnborough-based The Brain Tumour Charity has been hand-selected by employees at Mondelēz International in Uxbridge to receive a donation of £5,000. The vision of five founding companies, Tesco, Accenture, P&G, Mondelez and Coca Cola, the conference was a first in the industry. 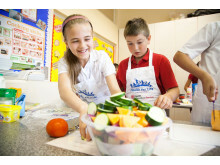 Attracting participants from across the Grocery sector, more than 50 companies shared knowledge and best practice. Mondelez International is hiring 55 new apprentices for 2019 across the UK. 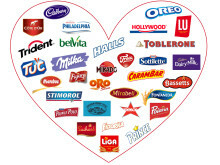 Mondelez is one of the world’s largest snacks companies, home to some of Britain’s best-loved brands including Cadbury Dairy Milk, Green and Black's and Oreo. 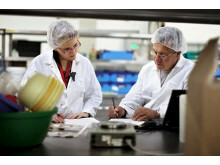 Offering a suite of roles from Scientists to Supply Chain across our UK Sites; Bournville, Sheffield and Reading. 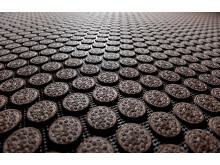 Mondelez International maker of some of Britain’s best-loved brands including Cadbury Dairy Milk, Green and Blacks and Oreo is looking for four new chocolate tasters. This Dream job involves testing new products before they hit the shops in 150 countries. This sweet role is for up to 8 hours a week with an hourly wage of £10.75. February 25, 2019 – As of January 2019, Vince Gruber has taken over the role of Executive Vice President & President Europe for Mondelēz International. 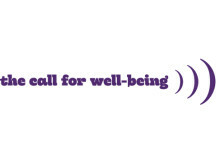 Mondelez has won the prestigious IGD Award for Employee Wellbeing. On Tuesday, 2nd October, nearly 600 food and grocery colleagues gathered at the IGD Awards to raise a toast to the industry’s achievements over the last 12 months. Following LinkedIn’s recent announcement that the role of chocolate taster at Mondelēz International was one of the site’s most viewed job adverts of 2017, the UK’s largest branded food manufacturer is once again searching for chocolate connoisseurs to test out new inventions from its brands including Cadbury, Oreo, Milka and Green & Blacks. We were honoured to host two cocoa farmers from our sustainable cocoa sourcing programme, Cocoa Life, as well as Ghana’s Cocoa Life Director, on a four day visit to the UK in November. 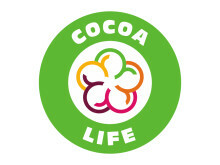 They got to see how their cocoa harvest is transformed into Cadbury chocolate and we got an insight into how Cocoa Life is helping whole communities to thrive. Wispa it quietly, but being a chocolate taster is the best job in the world…Can you be our new Hero? Mondelēz International’s hunt for its next Chocolate Taster has gone world-wide, receiving almost 1,500 applicants in less than 24 hours. Mondelēz International today announced the appointment of Glenn Caton as President, Northern Europe. 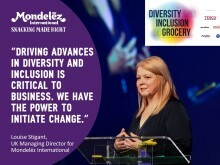 Glenn will be responsible for Mondelēz International’s businesses in the UK, Ireland, Norway, Sweden, Finland and Denmark, where Mondelēz manufactures and sells some of Europe’s best-loved snacks brands, such as Cadbury, Oreo, Maynards Bassetts, Ritz and belVita. - Stronger performance driven by ambition to be leader in well-being snacks. - Reflects company’s commitment to accelerate action against climate change and reduce its global carbon footprint. 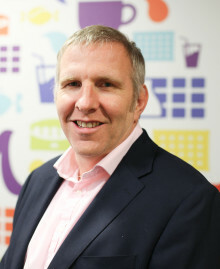 Mondelez International announced today that Mike Taylor has been appointed as Managing Director for the UK business. 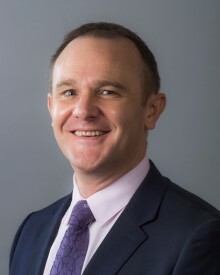 In his new role, he will be responsible for leading Mondelez’ commercial operations in the UK and working in partnership with customers to drive growth. 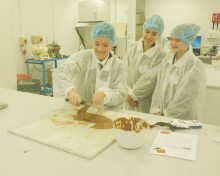 Pupils from St Crispin’s School (pictured), John Madejski Academy, and The Bulmershe School discovered the science behind chocolate at Mondelēz International’s Global Science Centre. 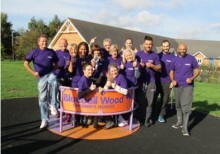 Sales employees from global snack provider, Mondelēz International have spruced up the outdoor garden area at Bluebell Wood Children’s Hospice in Sheffield, as part of Global Volunteer Month – a campaign which saw over 250 UK and Ireland employees spend more than 850 hours supporting their local communities during October. 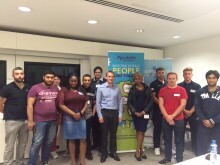 A group of unemployed youngsters from Birmingham have gained a valuable insight into the food industry, after visiting Mondelēz International as part of a national campaign designed to improve employment prospects.